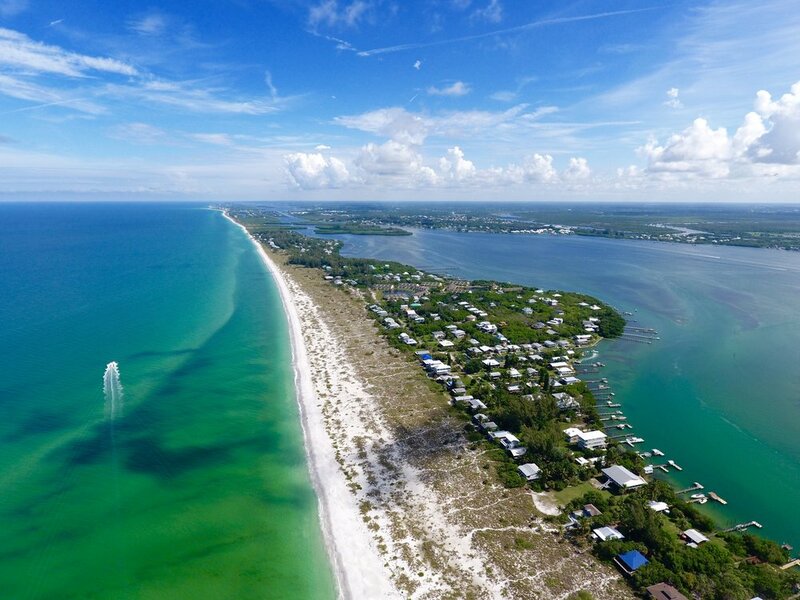 Little Gasparilla Island is halfway between Sarasota and Ft. Myers. It has no bridges and is reachable only by private boat or the area's water taxi. 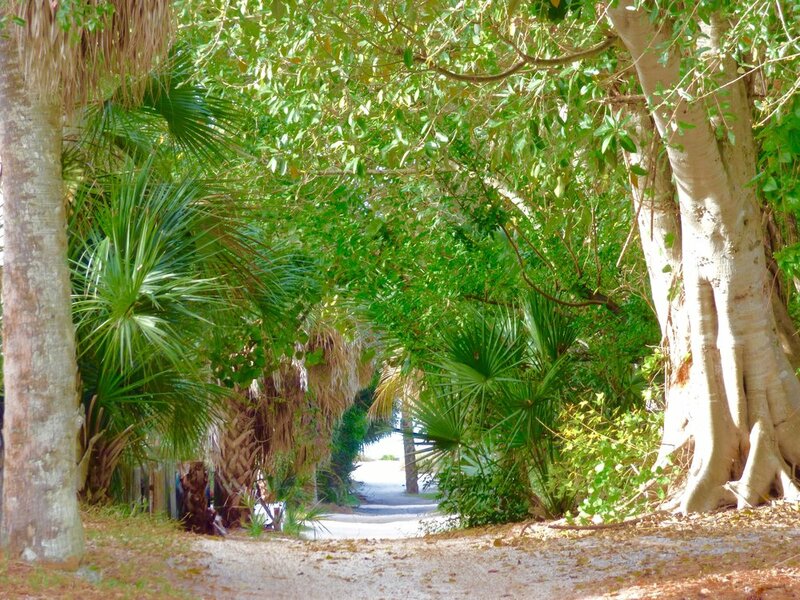 There are no paved roads, just sandy pathways that meander through the sea grapes and Australian pines. Golf carts or walking are the usual mode of transportation. 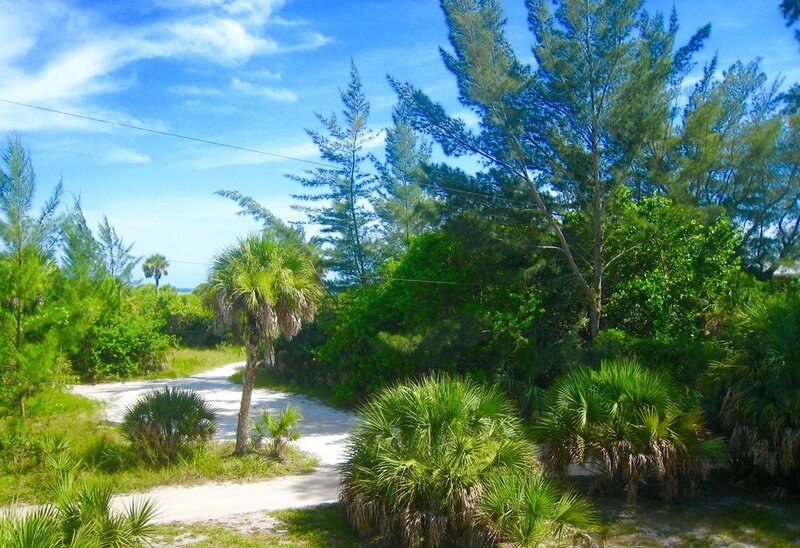 At its widest part, the island is only about 1/4 mile wide, so it is a very easy walk from the dock to your home and/or the beach. 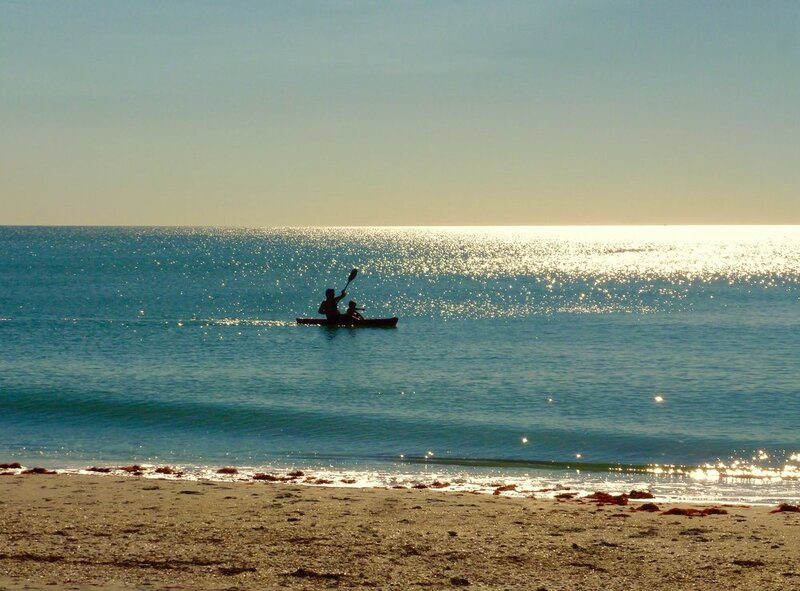 While the boat ride from the mainland is only 10 minutes, Little Gasparilla is a world apart. From the moment you arrive, you'll feel your stresses slip away with the tide as you truly unplug and reconnect with your family or significant other. The beach is wide and sandy and the waters are mostly calm on the Gulf of Mexico though occasionally there are periods of bigger waves during stormy periods. The beach is nearly deserted since you can only access the island by boat. Many days you can walk the beach for hours and not see another soul. Instead, you may spot shorebirds and ghost crabs and giant sea turtles which come here every year to lay their eggs. Fat manatees drift beneath the docks and float offshore near the sandbar. Osprey circle above looking for fish. Eagles and hawks, herons and egret abound.  There are no stores on Little Gasparilla Island. The only commercial establishment is the golf cart rental shop and a tiny gift shop near the north end of the island. All groceries must be brought to the island with you on the water taxi, or you can use our grocery delivery service. There is one restaurant, Rum Bay, on the far north end of the island, about 6 miles north of most of our rental homes. It is best accessed by boat or walking, since you cannot drive golf carts on the beach. Walk up the beach to Rum Bay Restaurant for lunch and then walk off your lunch calories on the way back down! Reconnect with your family by unplugging from technology for a week! Read a good book..... or two or three! 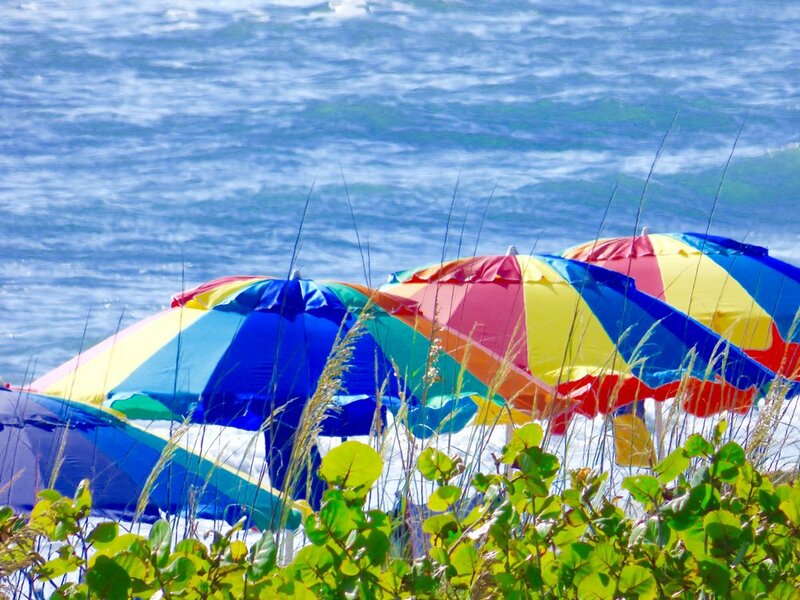 Is Little Gasparilla Island For You? island living may not be the best fit for your vacation. The perfect guests are those looking for a unique, relaxed, un-plugged vacation away from the mainland stress, in a well-appointed, comfortable island home with beautiful surroundings and lots and peace and privacy. Visitors looking for lots of nightlife, high-speed WiFi, or those who prefer to eat every meal in a restaurant and don’t want to cook on vacation, would probably be happier on the mainland.